Lest we forget the war of 1962. Understanding the Chinese invasion of India and the aftermath. 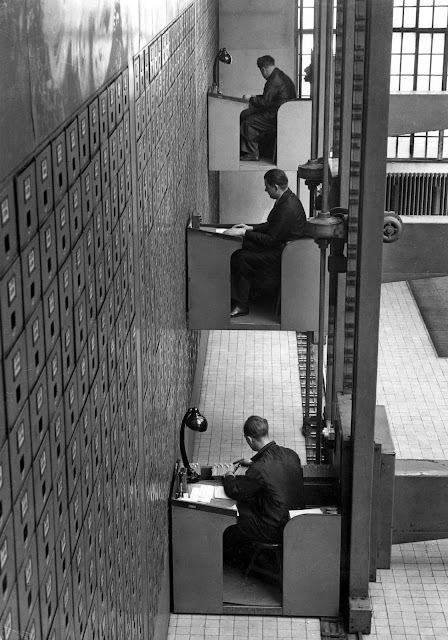 In late 1940s two sleeping giants began to stir awake. Barring the gruesome partition, modern democratic India had a peaceful birth in 1947. Nehru the Indian prime minister therefore believed, power came from eloquence, amity and diplomacy. China (PRC) on the other hand had a very violent birth in 1949, hence Mao Tse-tung held the belief that power came from the barrel of a gun. Nehru fancied himself as becoming a world leader. He wanted India and China to partner together, to create a third pole that would not be aligned to either American led West Capitalistic block nor the Soviet led Communist block. In pursuit of this dream he stooped and pampered China to no end. He fawned over China and also rued that he did not have the type of committed cadre that Mao had. This approach did not go down well with the Americans nor the Russians, who wanted to retain their global preeminence. They both wanted to pull China into their respective orbits of influence. The preference for China was because world powers never expected India to survive very long as an independent nation and thus India was considered dispensable. For their great game of global dominance, America decided that an unbridgeable divide had to be created between the two traditionally friendly Asian giants, in which China would be supported and India would be sacrificed. So desperate was Nehru to win over China, the idealistic and impractical Nehru kept on conceding to every demand that China put forward without getting any reciprocity from China. In the bargain Nehru sacrificed India's vital political, military and strategic interests. He bent to such an extent that he fell over backward taking India down. Nehru failed to realise that leaders and nations must seek respect more than liking. In the real world, both soft and hard power is esential. 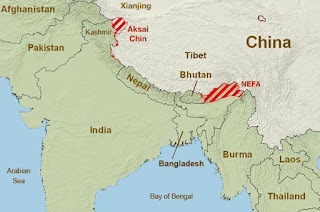 After China occupied Tibet in 1952, Nehru hurriedly recognised Tibet as belonging to China. In 1954 the Chinese submitted a list of 9 demands to India, which were unfavourable to India, but Nehru quickly accepted. Nehru consistently refused military help to the Tibetan people, so as to appease the Chinese leadership. There were two main areas of tension between India and China. 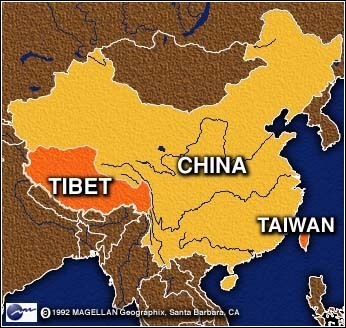 India's supposed support for Tibet, and the dispute over ownership of territory on the Indo -Sino border. The CIA saw these two areas as the fault lines to generate conflict between India and China. The Americans resorted to using their greatest assets, the people they had cultivated. Declassified KGB and CIA documents reveal that many leaders, bureaucrats of the era were corrupt and bought out at ridiculously low sums. Oleg Kalugin the Russian master spy remarked, "It seems the whole of India was up for sale." Both the Soviets and America had a field day in fermenting trouble in India. 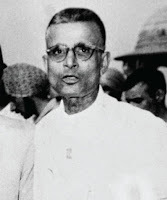 Defence minister Krishna Menon was in the Soviet communist camp and Finance minister Morarji Desai and YB Chawan in the American capitalists camp. General Thimayya and several generals and bureaucrats were much tilted in favour of the Americans. 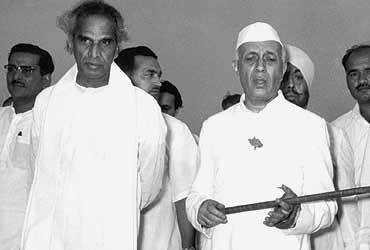 Nehru's team was built around his friendship with certain individuals rather than on merit. Individual egos orbiting a vain and egoistic Nehru inhibited the formulation and implementation of a common philosophy and strategy, within his team. Everyone in his team hated and opposed everyone else. It seems that everyone in Nehru's team did pretty much what they wanted. Gen. Pran Nath Thapar, (Karan Thapar's father) was the army chief simply on paper. He exercised no real power or influence. It was Lt. Gen. Brij Mohan Kaul, a by-product of flamboyance and nepotism, who due to his proximity of being a relative of Nehru, and repeatedly promoted out of turn, who called the shots. As Corps Commander, Kaul not only vacated his post during the war, but also reported sick and parked himself at his residence in Delhi, from where he tried to direct the war. Gen. Kaul, “met the US under Secretary of State Chester Bowles the summer of 1962 without the knowledge of the Prime Minister and Defence Minister and discussed with him the possibility of a Chinese attack that fall. The question is, why did Kaul, a serving army officer meet Bowles? If Kaul knew about the imminence of the attack, then why did he proceed on holiday? Another villain in the piece was BN Mullik (Head of Intelligence). He deliberately fed Nehru false information and met with CIA staff and carried out their bidding. Nehru based on the advice of these men, adopted the 'Forward Policy' which was the provocative building of many Indians army outposts further north of the McMahon Line in disputed territory claimed by China and even behind Chinese border posts with a view to preventing supplies to the Chinese and forcing their withdrawal from disputed territory. Mullik repeatedly assured Nehru, Menon and others that China would not react, and Kaul assured Nehru that he would throw them out even if they reacted. This action was in retaliation to China's unilateral action of building a road across Aksai Chin. The Chinese claimed that 120,000 sq. kms of land in India's control actually belonged to China. What China really wanted most was access between their two main western provinces - Xinjiang and Tibet. 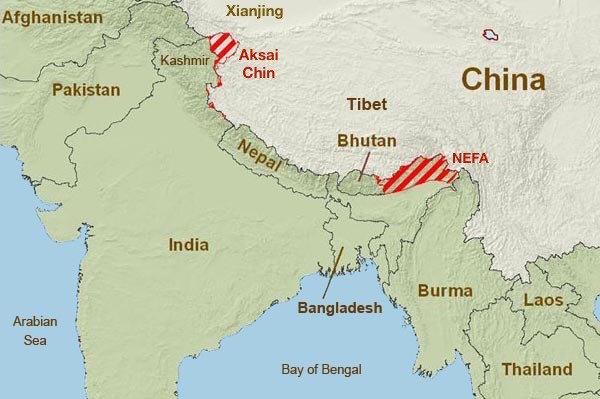 China proposed a settlement, it was willing to take an uninhabited but strategically important Aksai Chin from India and give up its claim on NEFA (Arunachal Pradesh). Nehru refused to even discuss the matter. This became a major point of contention. Mullik thought it best to show an aggressive stand. When permission was denied to deploy , troops along the non militarised and quiet border, as it might be unnecessarily provocative, Mullik exceed his brief. He borrowed from the Inspector General of police of Jammu and Kashmir, and posted in the Ladakh area, a company of armed CRPF (Central Reserve Police Force). This gave rise to Chinese fears of India's aggressive intentions and duplicity. In view of Nehru's disinterest in saving Tibet, The American objective shifted from not saving Tibet, to triggering the destruction of the Tibetan freedom movement and anger China at India's expense. Chinese reports mention that 87,000 Tibetans being eliminated during the March 1959 Lhasa uprising. As a consequence, His Holiness the Dalai Lama fled to and sought refuge in India. All these actions convinced a livid China that India was playing a double game. China decided that negotiations with India were leading nowhere. India had to be taught a lesson once and for all. They thought rather than partner with, it was better to subordinate India to China. China was however worried about the support of America to Formosa (Taiwan) for an impending attack on China. This would mean fighting a war simultaneously on a second front, something China could not afford. However in June 1962 the Americans gave China a categorical assurance that there would be no attack from Taiwan and that America would remain neutral in the case of a Indo -Sino conflict. Thus China was able to redeploy all its best troops, artillery and equipment from its Eastern front to Tibet for the invasion of India. The Soviet support to India remained a serious concern. Then in early October 1962 the Soviets assured China that it would drop its India tilt in case of a Chinese attack on India. The die was cast, the trap was set. Indian intelligence reported that Chinese preparations of war were afoot. China mobilised equipment and 80,000 troops over the year for the offensive. In the meantime Nehru and Menon supremely confident of their diplomacy and the support of the superpowers retained just 10,000 poorly clothed, almost unarmed brave soldiers without any ammunition, with inadequate equipment, transport, or communications. From August 1962 onwards skirmishes at the border were now increasing both in frequency and intensity. While the clouds of war loomed on the horizon, Nehru was busy travelling to Paris, Lagos and Accra and Colombo, returning only on 16 October 1962. Krishna Menon left for New York on 17 September 1962 to attend the UN General Assembly and returned to India only on 30 September 1962. Kaul went on holiday to Kashmir. To India's shock and dismay on 20th October 1962 China invaded India occupied an area of 90,000 square kms including numerous key towns, and strategic locations, before announcing a unilateral ceasefire on 20th November. India suffered a humiliating defeat, and we lost 3,250 soldiers, nearly 2,000 of them died due to improper clothing, many bodies of brave Indian soldiers frozen to death, were recovered with guns in hand but empty bullet pouches. The shocking Indian performance was a disaster waiting to happen, the result of a politically and militarily, stupid, incompetent and corrupt leadership. So dysfunctional was the leadership that the relatively powerful Indian Air Force was not even asked to intervene, which would have turned the tide in India's favour. Ignoring proof that both Pakistan and China were heavily arming themselves. 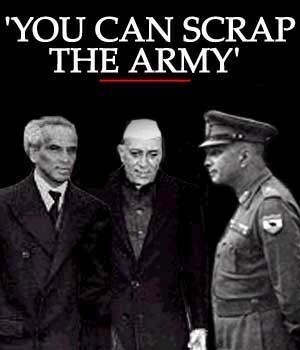 Nehru, proclaimed that since India was a peace loving nation, an army was superfluous. So Nehru and his band of merry men went about rapidly reducing the strength and capabilities of the already depleted armed forces by a further 25%, reducing capital expenditure on equipment, infrastructure etc. not purchasing ammunition, and phasing out much of local defence production of arms and ammunition and all defence items. Nehru was assisted in his absurd geo political and military leadership by his brilliant but egoistic friend, Krishna Menon the defence minister. Menon could drive and intimidate people but never inspire nor lead. One of the driving forces was not 'non violence' but paranoia. Nehru was paranoid that the Indian army might one day stage a coup and therefore preferred a weak military leadership and retained an iron grip control of the army without building competencies nor strengths. All my life I grew up detesting the Chinese, and never trusting them. Only after the Doklam incident when I researched did I discover the truth. How we Indians have been mostly uninformed and greatly misled and misinformed. Because the Indian government, has mostly been led by the Nehru family since independence, the truth has been concealed, lest it reduces the halo of Nehru. Nehru may have possibly had some good personal qualities, but his qualities as a leader were very seriously wanting and this resulted in the Himalayan debacle of India. Our text books omit the truth. I believe this can be attributed to the fact that most of our historians, and educationists along with the media are leftists, with considerable sympathy for communists. Sadly most Indians remain unaware, about the sacrifice of our valiant and noble soldiers, and therefore unable to appreciate their contribution, then and always. Therefore we fail to honour and mourn them. Those who do not learn from history are doomed to repeat the blunders with even greater costs. Every cloud has a silver lining even such a tragic one as the 1962 war. 1. Parliament and the people had tolerated enough. They wanted the guilty to be held accountable. Menon, Gen. Thapar, and the entire team were sacked, inspite of Nehru trying to save them. 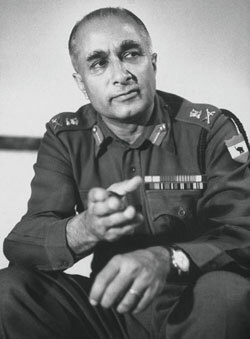 Kaul became the most discredited military commander of the 1962 debacle. 2. Indian leadership received a wakeup call to reality. 3. The Indian army was beefed up and further professionalised, with much less political interference. As a result India was able to very effectively handle the subsequent invasions of Pakistani in 1965, 1971, and 1999. It also gave India the ability to cope effectively with Chinese aggression in 1967 and gave them a bloody nose. 4. Now India is officially in possession and control of 87,000 sq. kms in Arunachal Pradesh. 5. Tragically very few Indians, know the truth about the sacrifices our soldiers made and will always make. People and nations respect only strength. If India seeks to be great once again, then we must be culturally socially, economically, militarily and politically so strong, that we can actually afford to be the peace loving gentle giant that we have always aspired to be.